It Looks like Australia’s Koala Has Put On A Little Weight! The Koala bear is one of Australia’s most recognizable animals – so much so that it even serves as a mascot for Qantas Airlines, the flagship carrier for Australia and New Zealand. And, since 2007, the adorable if slightly cranky little bear has been the theme of one of the world’s most popular silver coin series. Issued annually by the prestigious Perth Mint, the Koala coins feature new, one-year-only designs of Australia’s adorable marsupial. In 2018 the Perth Mint decided to release a special silver Koala that has collectors going crazy: They struck a magnificent 2-ounce silver bullion double-thick “peidfort” Koala! Not only is this the first 2-ounce silver Koala piedfort ever struck, it is also the FIRST 2-ounce silver bullion piedfort coin ever released by the Perth Mint! It’s an absolute must-have for collectors – especially Koala collectors and fans of the Perth Mint’s animal series of coins. Each legal-tender coin is struck in two full ounces of pure 99.99% silver and comes graded by the Numismatic Guaranty Corporation (NGC) to be in perfect Mint State-70 (MS70) condition. Each coin has also been encapsulated in a special coin holder with an exclusive Australia label. 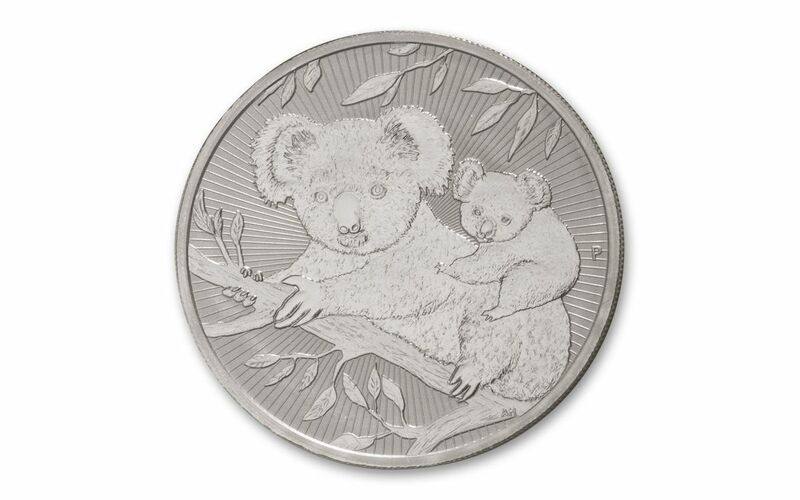 Koala collectors and silver stackers alike are sure to make these coins one of our most popular sellers. And with just 75,000 struck for worldwide release, the demand is sure to exceed supply! And one – or several – to your cart today! FIRST-EVER 2-OUNCE SILVER BULLION PIEDFORT – This coin is the first-ever 2-ounce silver bullion piedfort coin from the Perth Mint. It’s a must-have for any collector of the Mint’s “Australian Animals” series. ENGAGING DESIGNS IN AUSTRALIA’S KOALA SERIES – The design for these 2018 Australia $2 Koala Two-Ounce Silver Piedforts is a reworking of the 2008 Koala design depicting a mother bear climbing across a branch with its baby perched on its back. The coin’s reverse features the portrait of Queen Elizabeth II, year date, denomination, weight and purity. Radial lines appear on both sides of the coin. 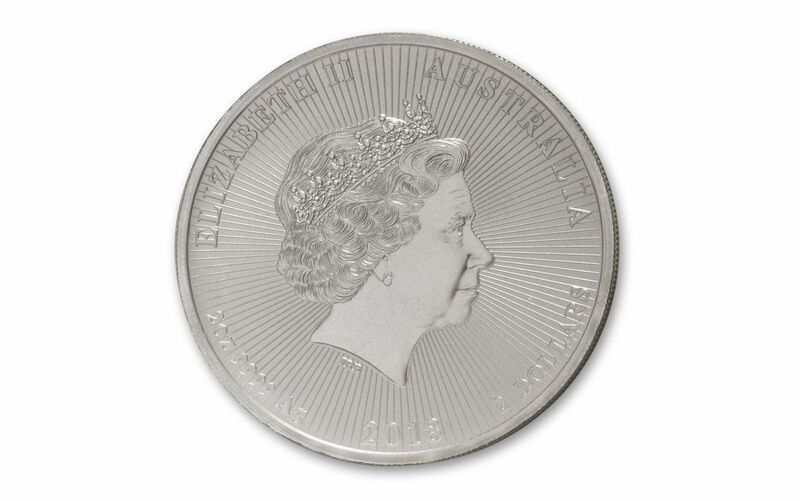 STRUCK IN PURE SILVER – Each 2018 Australia $2 Koala Silver Piedfort coin is struck in 2 ounces of 99.99% silver. At 40.6 mm in diameter, it is also a double-thick “Piedfort” coin containing twice as much silver as the more common $1 Koala coin. 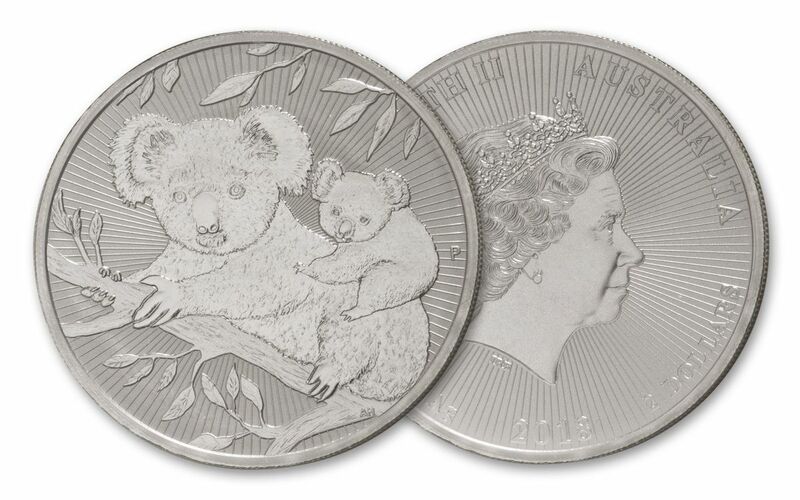 LEGAL TENDER IN AUSTRALIA – These magnificent Koala coins are $2 legal tender in Australia. GRADED IN PERFECT CONDITION – Your 2018 Australia $2 Koala Two-Ounce Silver Piedfort has been graded by the Numismatic Guaranty Corporation (NGC) to be in Mint State-70 (MS70) condition, a distinction that means your perfectly-graded coin will have ZERO imperfections – showing all features and fields exactly as the engraver and mint intended. STRICT LIMITED MINTAGE – The 2018 Australia $2 Koala Two-Ounce Silver Piedfort has a strict worldwide edition limit edition of 75,000. Australia’s 2018 $2 Koala Two-Ounce Silver Piedfort is the Perth Mint’s FIRST-EVER 2-ounce silver bullion piedfort coin. Get your coin in Mint State-70 condition now while we still have quantities available!